Steve Goddard, named California Realtor of the year, 170,000 Realtors strong in California, has been a South Bay real estate practitioner for over thirty years, and a REMAX broker/associate for the past twenty years. Steve grew up in New Mexico, where he attended New Mexico Military Institute in Roswell. After high school he attended the University of Utah, where he graduated with a B.S. in marketing. After graduating college, Steve joined the Army Signal Corps, where at 22 years old, he was selected to be Company Commander and was responsible for 361 men during his tour in Vietnam. Steve has been presented with various medals for serving his country, including a Bronze Star for Heroism. Steve’s experience and knowledge in real estate is evident in each transaction he makes and he enjoys sharing his insight with others through classes he teaches. “I teach real estate people how to sell real estate and what to look for. I try to answer all the questions they might have,” says Steve. His areas of expertise include residential, residential income and commercial property sales, leasing. He ahs helped more than 1000 families achieve the American Dream and eh wants to do the same for others. Whether it’s buying or selling property, Steve’s number one priority is his client’s satisfaction. “The thing I enjoy most about real estate is helping people find happiness in buying and selling property; and explaining to them the future of owning real estate” says Steve. He has sold over 1,000 properties throughout the course of his career, but aside from his success, Steve is also a very charitable man. “He has been Chairman of the Children’s Miracle Network for his REMAX office for the past 12 years,” notes Broker Agent Magazine, June 2007. 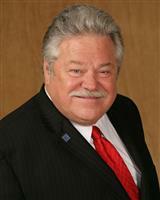 Steve has also served on the Advisory Board of the Redondo Beach Corps of the Salvation Army, and is also its chairman. For Steve, real estate has not only been a opportunity for him to make a great living, but it also enabled him to serve his life’s passion for helping others – in his profession and through his favorite charities. It’s no wonder why he’s called “The Real Estate Nice Guy!" Despite his demanding schedule Steve also finds time to pursue his passion, which is acting. Few probably know that Steve is a member of the Screen Actors Guild and has been in numerous movies, plays and national commercials. Anyone who has been in his office can’t help but notice the unique painting on his wall of Steve and Harvey the rabbit, from Steve’s leading role in the play Harvey. As far as Steve’s plans for 2011, “I plan to spend more time with family and friends, and of course continue to work hard,” he says.